Vous souhaitez poser une question à l'établissement Dragon River Avenue Hotel ? 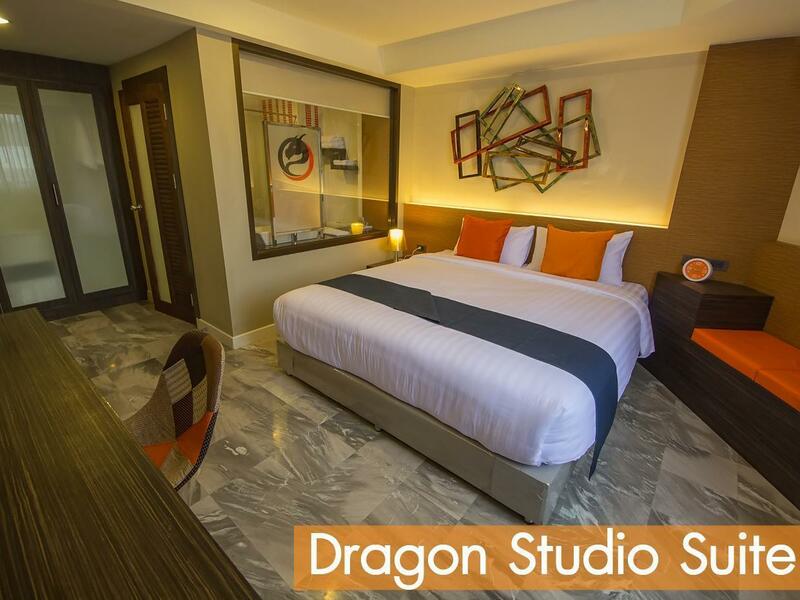 Situé à Phitsanulok centre, le Dragon River Avenue Hotel est l'établissement parfait pour profiter de Phitsanulok et de ses environs. L'animation du centre-ville se trouve à seulement 2.3 km de l'établissement. Grâce à son excellente situation, l'établissement permet de se rendre facilement sur les sites incontournables de la ville. 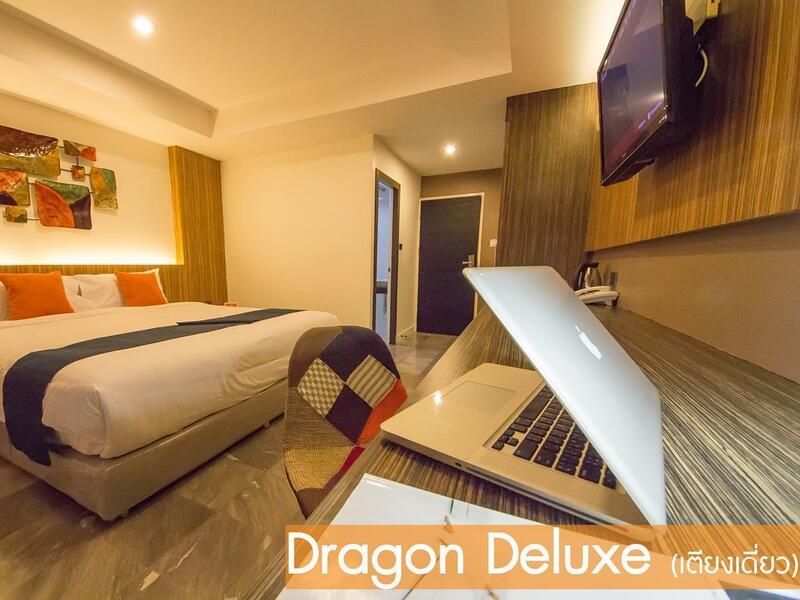 Les équipements et les services proposés par le Dragon River Avenue Hotel sont la garantie pour les hôtes d'un séjour agréable. L'établissement donne accès à un vaste éventail de services, dont WiFi gratuit dans toutes les chambres, réception 24h/24, check-in/-out express, WiFi dans les espaces communs, parking, pour n'en citer que quelques-uns. Profitez d'équipements de qualité supérieure durant votre séjour. Certaines chambres sont équipées de télévision écran plat, accès internet (sans fil), internet sans fil (gratuit), climatisation, balcon/terrasse, qui permettent aux hôtes de se détendre et de recharger leurs batteries après une journée bien remplie. Que ce soit pour une session quotidienne de fitness ou pour un moment de détente après une longue journée, vous pourrez profiter de superbes équipements de loisirs tels que spa, massage. 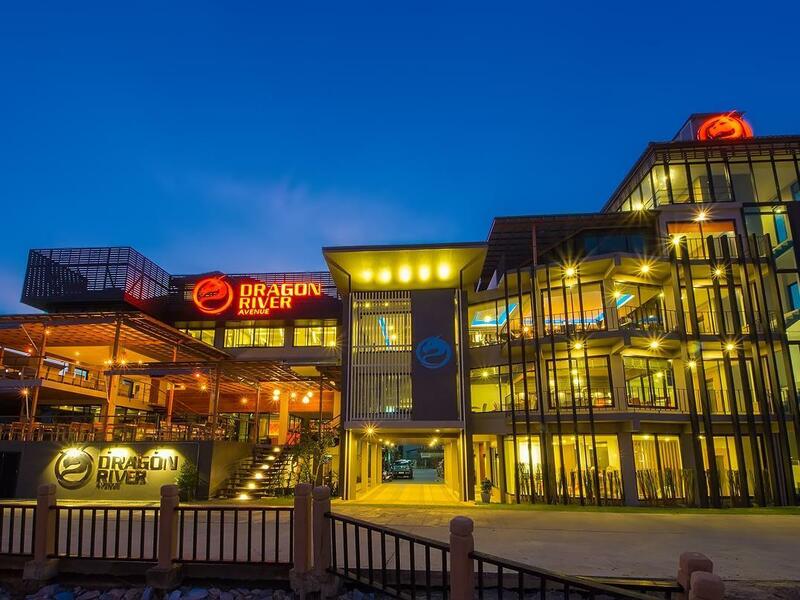 Le Dragon River Avenue Hotel est le lieu de séjour idéal pour les voyageurs qui recherchent charme, élégance et confort à Phitsanulok. L'hôtel nous a mis gracieusement à disposition une voiture avec chauffeur pour nous conduire au marché du soir local et nous ramener !!! Very good services especially restaurant and shuttle to Wat . Situated on the river, the view is far from attractive as the area has been excavated and spoilt. Having said that the hotel is very good, clean and with friendly helpful staff. I found the bed to be very soft and made for a restless nights sleep as I felt hot. Room was clean, the staff helpful and the hotel generally gets a thumbs up for a budget hotel. A minor point, but the door locks are a challenge to decipher and more than one guest was observed trying to figure out how to get into their room. The street to the hotel becomes a bit desolate and foreboding after 9pm for those wishing to walk around at night. Staff was friendly, room could be a bit cleaner, the entertainment system was very good as many recent movies could watched. The view over the river is nice. Breakfast is quite poor. Make sure to tell the hotel that you prefer a double bed or a king size bed in advance, otherwise, you will get what is left available. We were just driving through on a long trip, so only stayed for one night. Hotel was very clean and located near a very interesting and popular Wat. The highlight was the attached restaurant. My Thai wife and I had a great dinner for an exceptional price for a good hotel. We dropped by Pitsanulok on the way to bangkok... It was during Songkran festival so city was kinda busy. This small hotel was facing river, I could see they put on effort to make entrance and restaurant area look interesting. Room was simple but functional. We had lunch in the restaurant inside hotel, quite yummy but a bit pricy comparing outside. It was only 1 night stay but would love to come back. Great staff! They really are friendly, and make you feel comfortable. They offered us tips and tricks around town, dropped us off at the walking street. The hotel is not too far from the main temple, we ended up walking there. The room was nicely decorated, and clean. The only thing I can really comment on is the limited parking space, but it wasn't a real big deal, we just had to park on the street on our last night there. All in all, I'll be back again! I've stayed at the hotel for 1 night. everthing during stay was not so great, hotel location is behide the school it's mean if you want ta take a nap during the day time. Impossible !! I have booked via agoda website. In the hotel page on agoda shown us that hotel has a hotel transfer when i booked and give informations into it but no one respond my sms or reply to me almost 1 month later I decide to sms to ask them again the 2nd time that .... So....The hotel still have hotel transfer or not ?? the answer that i got was ....."I HAVE"..... that's it !!. till on my travel date when i've landed at the airport i decided to go by airport taxi by myself. when i check in at the hotel. the staff told me that the hotel staff went to pick up n wait for me at the airport.so how can i know?? during stay.... the room was ok but the sound of AC up to the bed was so noisy i cant even sleep.TV doent respond any function i've tried to reboot the tv so many time but doesnt work. no more for me ..thx. Hotel location is super great, with the view of Pisanulok’s river from the front of the hotel. Surroundings is very peaceful. Hotel room is fairly new and spacious. Internet TV is provided in the room. Hotel staff is quite nice. Breakfast is made to order, no buffet, but you can ask for more if one does not fulfill your belly. The only drawback is limited parking space. If you drive, it would be a little difficult to find the empty spot. All in all, with hot deal from agoda, the hotel is worth the money we spent. Should Improve the bathroom desigh. Mmake it large and seperate zone is better with bathup . To make it looks relax and clean during taking a shower. Excellent hotel of this class... Located just near the city attraction but The hotel also provides a small shuttle motorbike (transfer from hotel to near attraction place) Front desk staff is very friendly and welcoming. Also towels very old, and there are lizards on my room. and the funny thing is when you want to buy any room things you have to pay by Bath not Baht :) check Purchasing price list. I was planning to stay 13 nights but I run away after 8th night. This is the 2nd time I've stayed here. Easy check in/out with friendly staff. Room boys are very helpful with luggage. Rooms are user friendly with a walk in shower. Good TV when you learn how to new it. Super comfortable bed. Breakast is a bit disappointing because everything was cold.